A pimple is formed when the skin pores are blocked with dead skin cells being held back by sebum (skin's natural moisturiser). When sebum, skin cells and hair follicles cluster together, a plug will form. Once this plug is infected with bacteria, it swelled up forming acne. In simple words, pimples are a subset of acne. So are blackheads and whiteheads. Blackheads and whiteheads are pimples that are not inflamed. Blackhead turns black because air oxidises it. Whitehead is as is because the opening skin pore is too small for air to oxidise it. Pimples are inflamed when the clogged pore ruptures under pressure and gets infected with bacteria. The pus pushed to the surface causing a raised white, puss-filled tip. Now, the answer to how to treat acne naturally. Cinnamon with its antimicrobial properties, help to stop bacteria from getting out of control. Make a simple natural remedy using cinnamon and honey to improve the condition. Honey’s antibiotic properties help to wipe out bacteria. Mix a bit of cinnamon powder with a bit of raw honey to form a paste. Dab a little of the paste on each pimple or apply on your face as a mask. Rinse off completely after 20 – 30 minutes. Repeat a few days if necessary. Honey also has anti-inflammatory properties that help avert swelling and redness caused by acne. Important note: Use raw honey and NOT processed honey products which can irritate your skin, making acne worse. Mint contains menthol and has anti-inflammatory and antibacterial properties. It will not cure acne but is effective at reducing acne breakouts and is soothing to the skin, helping to ease the discomfort caused by swelling and redness. 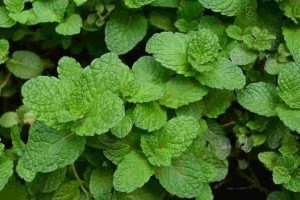 Crush a generous handful of fresh mint leaves thoroughly, using a blender or pestle and mortar. Rub the juice and crushed leaves on your face. Rinse off with cold water completely after 10 – 15 minutes. Crush 2 tablespoon of fresh mint leaves with 2 tablespoons of oatmeal in a blender. Add 2 tablespoons of plain yoghurt and apply this concoction on your face. Rinse off thoroughly after 10 – 15 minutes. Turmeric with its powerful antimicrobial properties helps destroy bacteria. It also assists to remove excess oil. 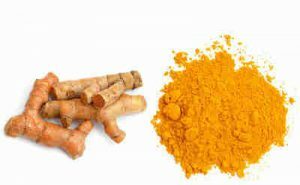 High in antioxidant, turmeric helps in treating pimples and the inflammation caused by it. Same as the cinnamon with the honey combination, mix a bit of turmeric with raw honey to form a paste. Dab a little of the paste on each pimple or apply on your face. Rinse off completely after 10 – 15 minutes. Repeat once every day if necessary. Mix ½ teaspoon turmeric with 1 tablespoon lemon juice and apply on the affected area. Rinse off completely after 10 – 15 minutes. Lemon contains antibacterial and antimicrobial properties that can stop bacterial growth. Its citric acid acts as exfoliate, helping to remove dead cells and oil that clog the skin pores. Mix a bit of turmeric with a few drops of olive oil and apply on the pimples or face as a mask. Rinse off completely after 15 – 20 minutes. Cautionary advice – Your face will turn slightly yellowish after rinsing but don’t worry, it is not permanent. The yellow colour is due to curcumin, a substance in turmeric. It does not stain your face as it will fade off after several washes. To overcome this, wipe the affected area using a few drops of mild facial toner on a cotton ball. Worse case, mix some water with sugar and scrub your face with the solution. Your skin will be stain-free as well as super-clean. A kind reminder to cleanse your skin thoroughly before applying these home remedies. If you experience inflammation, itching, or burning, discontinue use and/or, if the problem becomes severe, please see a dermatologist. Well, that’s the 3 common herbs and spices used to treat acne naturally. Cinnamon and turmeric are always available in my pantry. Are they yours? Cinnamon coffee being my morning companion. Mint growing in my backyard garden. Do you know that cinnamon, mint and turmeric help relieve stress too? Click here to read more. If you noticed, all the concoction above contains 5 other ingredients that we have readily in our kitchen. Raw honey, oatmeal, plain yoghurt, lemon and olive oil. You can now treat acne at home with these simple and effective ingredients from your kitchen. Isn't it wonderful? Before I leave you to manage your acne treatment (if you do), below are some advice for teenagers who are facing acne outburst. Keep skin clean. Dust, pollutants and oil can clog the skin’s pores and worsen existing acne. Teens should wash their face thoroughly but gently twice a day. Do not over wash or scrub overly because by doing so, it will over-stimulate the sebaceous gland causing it to produce an excessive amount of sebum, making acne worse. Decrease toxin. Increase water consumption. The toxin, in the form of sweat, escapes through the skin causes skin conditions that include acne. Teens should reduce or stay away from processed food that contains saturated fats, artificial food colouring/flavour, high level of sodium and sugar. This is one way to reduce ingesting toxins that will seep through the skin. Additionally, teens are encouraged to increase water consumption to flush toxins out of the body. Use makeup sparingly. Chemicals added dyes and oils will clog pores and causes an acne breakout. Teens should avoid wearing foundation, powder or blush during an acne breakout. If need to, use natural, water-based cosmetics. Keep hands off. Dirt and oil on the hands will make acne worse. Bacteria will spread and irritate the already inflamed facial skin. Teens should avoid touching their face or pinch the pimples. Exercise regularly. Perspiration helps to eliminate toxins, dirt and chemicals. Teens are encouraged to workout regularly. Perspiring and hydrating more often can prevent acne. As they drink more water and perspire, sweat is cleaner and clearer, helping to prevent pore blockage, oily skin and acne breakouts. Hope these can help teenagers to prevent their acne outbreak from worsening. Share with us, your experience with acne outburst, homemade remedies, dos and don'ts. Leave them in the comment section below. I look forward to learning more. These are very good methods to reduce acne. Personally I liked your method of exercising and sweating more. The main reason of acne is because of clogged up skin pores, so sweating more is a great way of flushing out the garbage clogging up the skin. Not only that, it helps relieve the mood too. Thank you for telling me not to use regular honey. I have heard of the benefits of raw honey too. The undestroyed nutrients are what we all need. My question is, how many times a day should I apply the natural herbs. I have to take care of my daughter sometimes. She is a “handful” and she loves touching my face when I play with her. I don’t want her to get all sticky while I am changing her diapers or something. You are correct. Exercising is not only for acne but our overall health – body, mind and soul. The natural remedies mentioned in this article are to be applied once a day. You may continue for a few days if necessary. My daughter’s acne breakout has improved a lot after using the turmeric and olive oil remedy. Can see the difference with just one application. I have a soon to be teenage daughter, and since early on she was the saying poor people with acne and I told her that she will most likely get her share as well and she was so angry at me lol, but unfortunately, that’s the sad reality for most teens. I will definitely make her aware of the natural remedies, I bet she will even start now to try and avoid it coming in the first place. Good hygiene and proper diet will help to avoid a full acne breakout. Take care! I just loved your site! I have two teens that are now suffering with acne and it is especially killing my daughters self-esteem. After reading your article i feel like there is hope for her yet. We have tried a couple of different things but nothing ever worked. A friend suggested I look into natural medicine and I never got around to it. I am so going to try your 3 options for aiding in acne clean up. Who knew?!? Mint, Turemic and Cinnamon. Thank goodness I have these items in my cabinet. If i actually cooked with the ingredients would they have the same effect? I look forward to reading more of your stuff. I am glad to have shared this knowledge with everyone who is in need. Having acne is part of growing up and I understand how our children feel and us, mothers as well. Including these herbs and spices into our diet is good for our overall health. Read more about herbs and spices health benefits here But for acne treatment, it should be applied as suggested in this article. My daughter used the turmeric and olive oil treatment and it worked well for her. Even though it caused the face to turn a bit yellowish after, she didn’t mind at all as it washes off fairly quickly. A bit yellowish is much better than an inflamed and reddish face. Although I’m no teenage at this age and not a female., I’m starting to experience acne and blackheads. During my teen, I have almost perfect skin that often made girls jealous. I think working out regularly and having enough fluid kept my skin healthy. Now that I’m busy working, and at a not-so-young age, I shall try some of the natural spices your recommended. Hope they work. You are absolutely correct – plenty of fluid helps keep our skin hydrated. It also helps to flush out the toxin. Do try these natural remedies for acne. It is good for adults as well as for teenagers. You’ve provided such a great overview of what acne and pimples actually are. I think I had a general idea but not in so much detail as you have put it. Thank you for that. I can now get a sort of idea of what can prevent acne by knowing what causes it. I’ve only known about lime working to reduce pimples when they appear but the methods you have mentioned here are worth the try, particularly since they are mostly available at home right in my kitchen cupboard. So I would definitely be trying the cinnamon one. I have one question. Would you recommend the regular application of the cinnamon mix maybe as a mask as a sort of preventative measure or should it only be applied if there are pimples on my face. Thank you. Cinnamon with its antibacterial properties can help prevent acne. Therefore, the cinnamon and raw honey mix can act as a preventive remedy. You may add ground nutmeg to this concoction as nutmeg can gently exfoliate the face. 1tsp ground cinnamon + 1 tsp ground nutmeg + 2 tbsp honey. Mix the blend until smooth and apply onto face as a mask. Rinse after 15 mins. Patch test first if you are worried about skin irritation. Acne is a huge problem for many teenagers. I had problems with acne from when I was around 13 years old. 10 years later, I no longer suffered from acne in the face but I still had plenty on my back. It was itchy, it hurt and I felt unclean. Only with the help of dermatholgist who gave Antibiotics and special kind of vitamin A could I finally get rid of the acne on my back. It took a treatment of 6 months. If these herbal cures can cure acne without the risks associated with certain drugs (the vitamin A I took is said to be hard on the liver) then that is absolutely great. Do try these natural remedies. If you are worried about irritation, do a patch test first. Let me know how it turns out. Come back to this section to leave a reply. Back when I was a teenager, I used to struggle with bad breakouts. I was prescribed acne treatment after acne treatment, but none of them ever seemed to work. The few ones that did work a little, also dried my skin out so bad that it was red and flakey. I eventually just gave up and decided to live with it. As I got older I realized that my diet and lifestyle were a big contributing factor to my breakouts. I started drinking more water, eating cleaner and moving more and I saw a definite improvement. Now that I know more about what causes breakouts and the mechanics behind them, I can better treat and prevent future breakouts. I am always looking for natural, home made remedies for common aliments, so I found this article very informative. Plus, I have all of these natural ingredients at home in my cupboards! I never thought to use them for anything other than food and drink preparation. 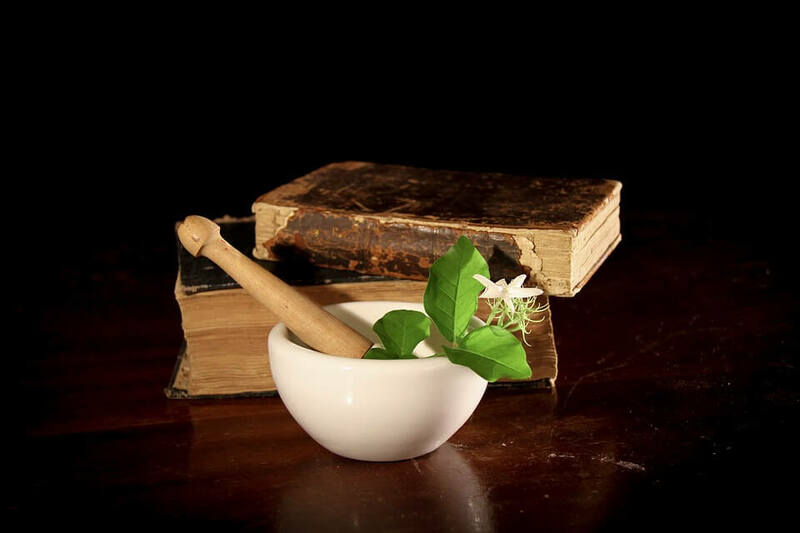 Knowing all of the great properties that these ingredients have just makes it seem like a no brainer to use them together as topical treatments. I will have to give these natural remedies a try when my next breakout hits. I am always looking for ways to use common culinary herbs and spices since they are always available in our pantry. Waste not. Or, the other way around – When things happen, for example, my daughter’s acne breakout, I try to find if I could make use of the herbs and spices I have. There are a lot more to share. Do drop by again in the near future. This is very helpful, i used to have a lot of acne , i was bullied and i had very low confidence, my face was so oily and dry so i know how frustrating it is, your advice really does help teens now a day to help cure their acne , i eat a lot of cinnamon too and i think it does help my skin , diet is very important for good skin. I am so sorry to hear of your situation. Am glad you got better. Agreed that diet is very important for good skin. 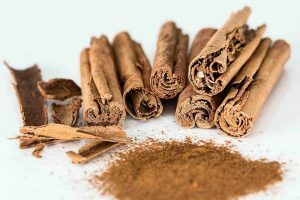 Read more about the health benefits of cinnamon. Thank you so much for your positive words and sharing the post with your friends. Sorry, you have to go through the unpleasant situation. I am glad this article is of help and thanks for sharing. Am sure you will like the idea of using herbs and spices to reduce stress. Drop me a message there. Acne is something that a lot of teenagers battle with. But all the recent studies recommend a lotion or cream that reduces oily skin. I have never tried the herbs and spices. I wanted to know how effective they are. Are products like Proactive or Neutrogena bad for the skin? You have explained the benefits of spices and herb, I want to know the benefits of the traditional face cream. Nowadays, many people opt to go natural. And many commercial brands include natural (herbal) ingredients in their products. Personally, I have not tried the brands you mentioned, therefore, I can’t comment. Good diet and personal hygiene are important factors to avoid oily skin. You may refer to the tips I’ve given in this article. You do not want to have dry skin either. Washing your face too often and high alcohol content in certain products may lead to dry skin. Both my teenage daughter and son use the cinnamon and turmeric concoction whenever there’s an outburst. Helped to bring down the redness and swelling. Last but not least, traditional face cream is very broad. Will you let me know precisely what product are you referring to? I love to know more about this. Thanks.